A new European survey has revealed that a long weekend visit to Dublin has the same impact on our health as smoking one cigarette due to air pollution. The Brussels-based NGO Transport and Environment ranked Europe’s most popular and most polluted cities to show people the potential impact on their health if they decide to take a summer break in there. 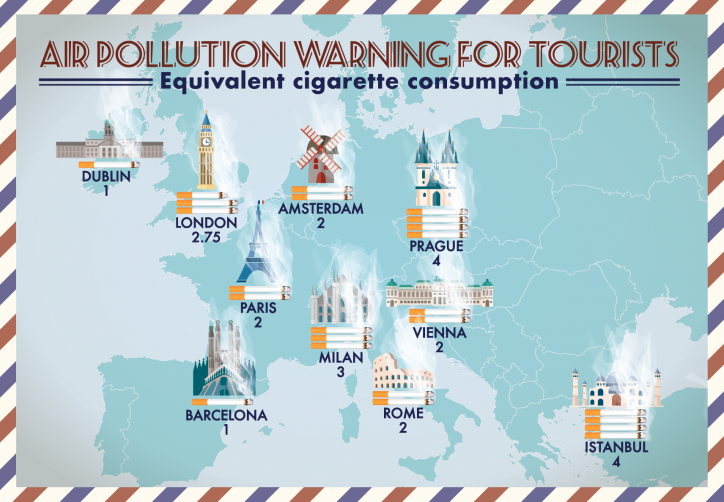 Prague and Istanbul were ranked as the most polluted holiday destinations, with the results showing that a four-day holiday in these cities would be equivalent to smoking four cigarettes. The other cities that hit the list include popular Europe capitals such as London, Milan, Paris and Amsterdam, each with the equivalent health impact of smoking two to three cigarettes. “Walking around cities and eating on restaurant terraces is what city breaks are all about,” said Jens Müller, T&E air quality and diesel coordinator. “Right now, tourists, including kids, are more or less forced to smoke, in the terms of health impacts,” he added. 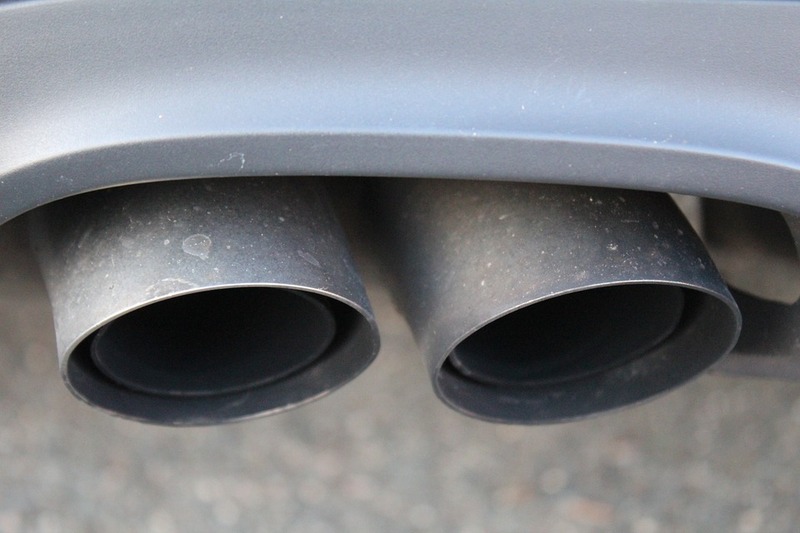 Mr Müller said that the main cause of air pollution in the cities is cars, calling for the most heavily polluting vehicles to be “quickly banned from cities”. A few years ago, digital developers, Marcelo Coelho and Amaury Martini, created an app that shows the equivalent number of cigarettes you “smoke” a day by simply breathing in polluted air in your local area. A recent report from the European Environment Agency (EEA) links air pollution to nearly 400,000 premature deaths in EU countries in 2014. The EEA report found links between air pollution and the health of newborns and children, including negative impacts on neural development that can lead to lower productivity and quality of life. Last year, a Spanish study of over 2,500 school children found that traffic-related air pollution in cities can hinder the brain development of children. The study, which is part of the EU-funded BREATHE project, found that higher concentrations of traffic-related airborne pollutants reaching classrooms negatively impacted children’s performance. Research carried in London recently found that children are exposed to air pollution even while in school. Pollution from diesel vehicles and other sources is affecting children’s health even while they are in the classrooms. Laura is a first-year journalism student at DIT. She has an interest in the environment, veganism and literature.